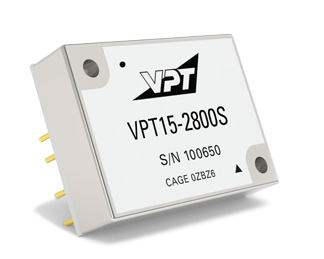 VPT15-2800S DC-DC Converter | VPT, Inc. The VPT15-2800S Series of DC-DC converters are designed specifically for military vehicles, weapons, shipboard, avionics, and other hi-rel applications. These converters are based on proven military heritage electrical designs and packaged securely in six-sided metal packages for rugged duty.